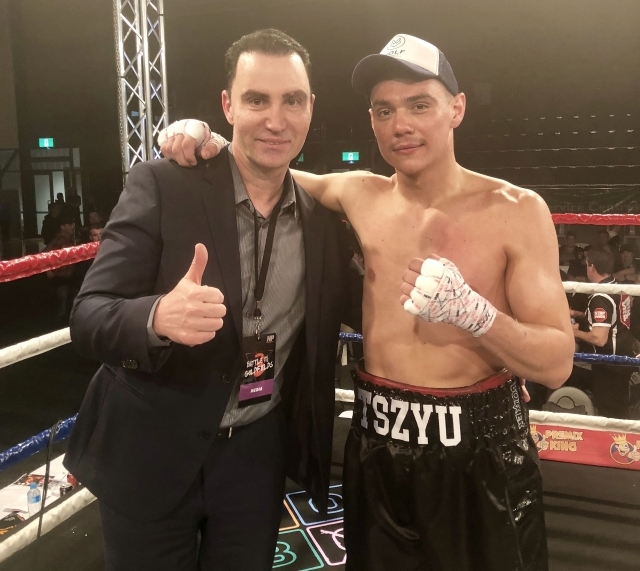 Tim Tszyu has the chance to achieve something his famous fighting father Kostya never did and has already been labelled a gun by the world’s best known boxing trainer. The 24-year old No.15-rated IBF contender will challenge Victoria’s Australian super welterweight champion Joel Camilleri at The Star in Sydney on May 15. They headline a pay for view card in Tszyu’s first fight of a long-term contract with No Limits Management Boxing. “I was born here and to me to say I’m an Australian champion, it would be a great achievement, so I’m looking forward to the opportunity,” Tszyu told AAP. At Wild Card he worked out in a gym where there was a poster of his dad and he caught the eye of Freddie Roach, the sport’s most globally recognised trainer and mentor to numerous world champions. “He treated us so well, he gave us great sparring and Freddie said to my manager I’m a gun, and to have someone like that say that is very motivating and inspiring,” Tszyu said. “I think he’s still a bit angry he hasn’t won many (State of) Origin matches against me, so I think he wants to try and knock my head off,” Hodges said.